Sutton Terrace, the UES apartment complex near Gracie Mansion, was built to house the city’s finest medical minds. 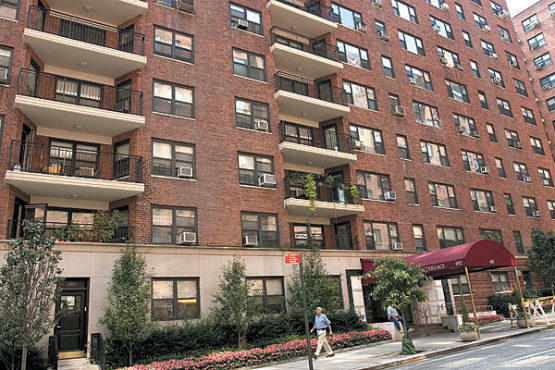 But on July 19, 1975, apartment 10H at 450 East 63rd Street made front-page news when the decomposing, emaciated bodies of identical-twin gynecologists Stewart and Cyril Marcus were discovered. The 45-year-olds shared nearly everything: a thriving practice, teaching appointments at New York Hospital, a house in the Hamptons and a debilitating barbiturate addiction. “We cannot tell if they had wanted to stop, or simply had no strength to go get some more drugs,” said the medical examiner’s office, in ruling that the twins died of extreme withdrawal. The Marcuses’ mysterious demise would go on to inspire David Cronenberg’s 1988 psychological chiller, Dead Ringers.